The Maltese rush in, where angels fear to tread. Because when Cupid comes calling, why stay home on one's couch? 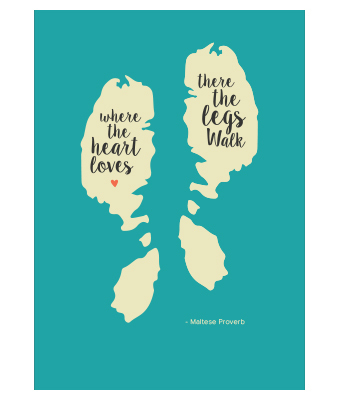 This ole proverb of yore advises you to go that extra mile for love, and our art print invites the Maltese islands to a walk on the heart's side.